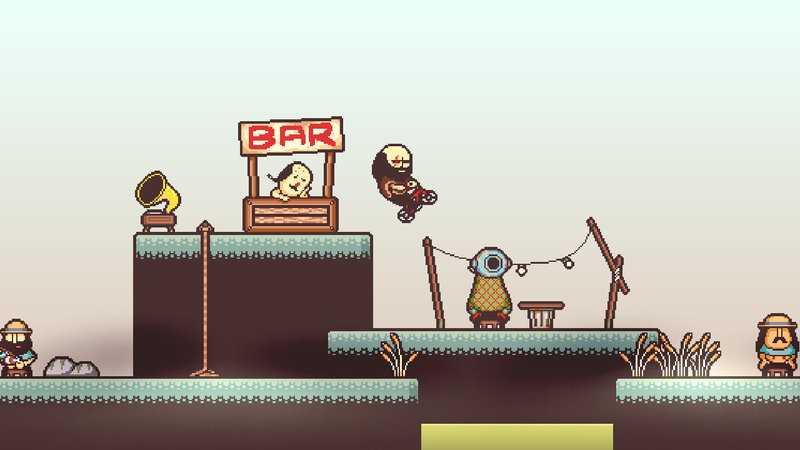 [dropcap size=big]I[/dropcap]t wasn’t that long ago when a Kickstarter campaign for “LISA the painful RPG” launched. In November and December of 2013 nearly 1,000 gamers discovered the game and found it far too intriguing to pass up. In the end, Austin Jorgensen raised a little over double the asking price, with a total of $16,492 funds. Finally, this incredibly disturbing-looking title would become a reality. This December, the game finally launched and has proved to be one hell of a disturbing and, on occasion, a darkly comedic adventure. 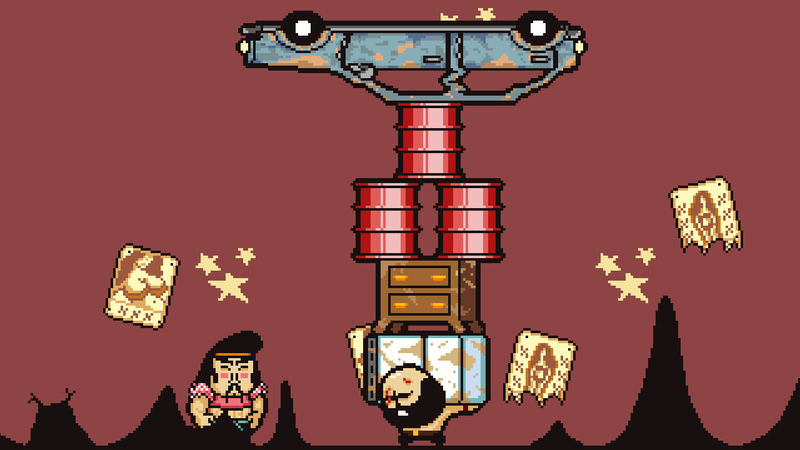 LISA the RPG is about as atypical an experience since Earthbound. It contains some of the same eccentric qualities behind a “cartoony” aesthetic. From the moment you start it brings tons of pain. It begins with a child name Bradley being beaten by bullies. Once home, his father throws a bottle at his head. Young Brad enters his room, huddles up by himself, and cries. This very first impression immediately establishes tone and a character’s start. We then fast forward to a time when Brad is an adult and living in a strange world. Now it seems all women have disappeared from the land – leaving a testosterone-injected, post-apocalyptic wasteland for survivors to inhabit. Once you get past the overbearing, obviously weird qualities of the game there are some aspects which should feel normal to RPG fans. Case in point, battles fall into a mostly expected turn-based pattern. 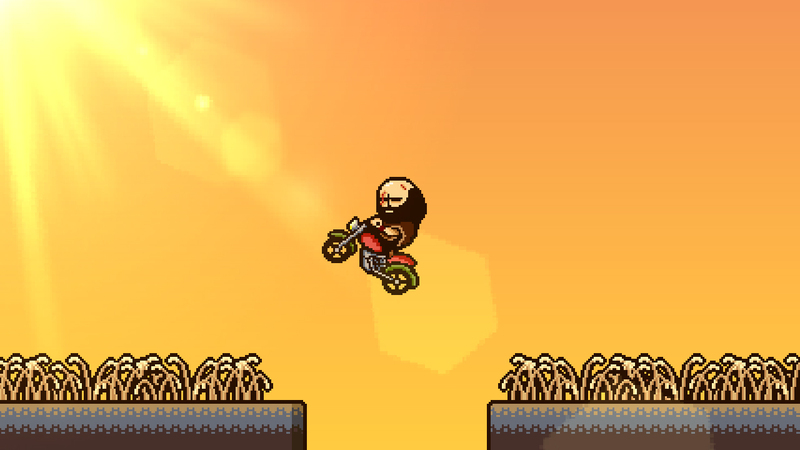 Usually an enemy is shown on the playfield and once you touch or talk to them the fight is initiated. In this mode, you (and up to three teammates) take turns fighting off one or multiple enemies on screen. Each character has the capacity to learn tons of skills, and all of them confer different things to a fight. For example, one type of attack may have a high probability of stunning or knocking down an opponent. Others have different elements which may be more useful against certain enemies. There’s a lot more nuance to the battle system if you want to dig in, but it’s not too necessary. What you do want to do however is save a lot and fight whenever possible. This is because leveling up is absolutely imperative to surviving the world of LISA. It is very hard to start with, which honestly turned me away initially, before putting in more time and getting into the “flow” of this particular game. With all that said, you don’t need to be too entirely cautious of team members dying or being stolen away. There are actually dozens of possible team characters to be found, so one alone is no huge loss. Beyond the mechanical aspects, LISA simply oozes a disturbing style. The visuals alone are creepy – and some scenes and characters and particular are outrageously unsettling despite being pixelated. It’s incredible to realize the game was made in RPG Maker which typically results in top-down, Final Fantasy-esque games. 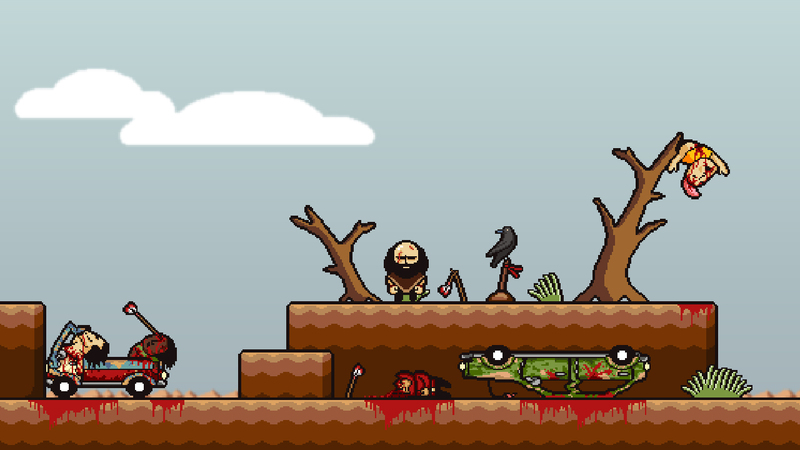 This looks nothing like that, instead being a side scrolling 2D, almost Metroidvania-esque experience. Then there’s the music which, while not freakish on its own, proves a perfect pair when overlaying this nightmarish world. Even if you never play the game itself, definitely give the soundtrack a listen. 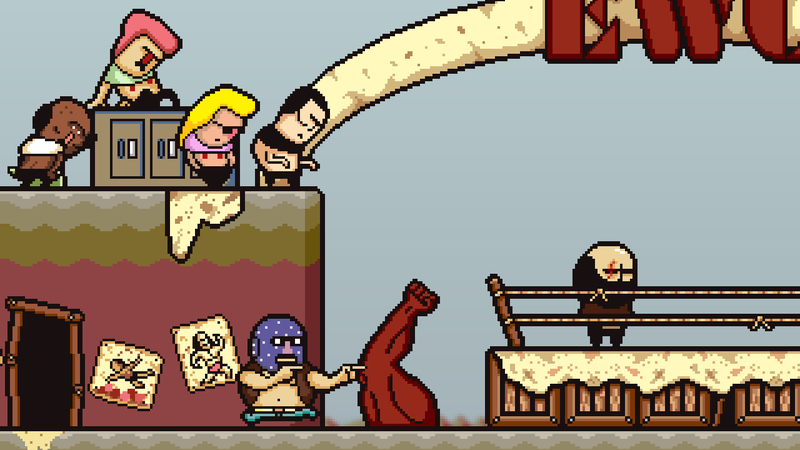 LISA is a tremendously uncomfortable game. It is fiendish, difficult, expansive, and even a bit frightening all the while infused with an odd sense of humor. These are the kind of qualities more video games should embrace instead of channeling mindless enjoyment 100% of the time. If you’ve got a taste for RPGs or weird video games then this purchase should be a given. 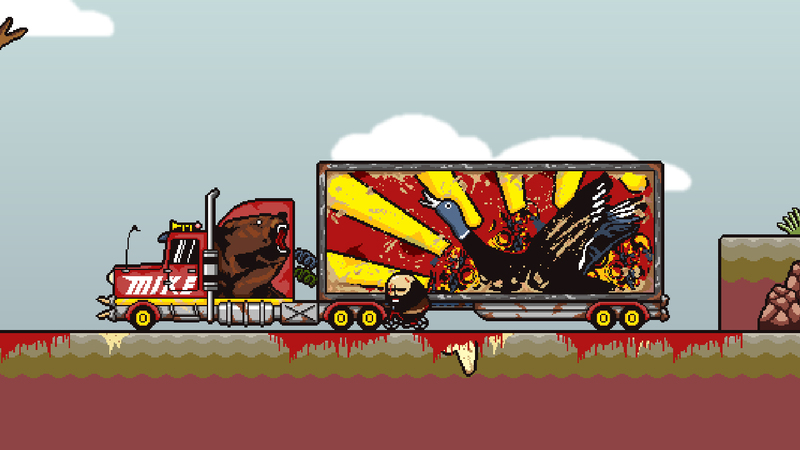 Disturbing as it may be, LISA is worth the journey.